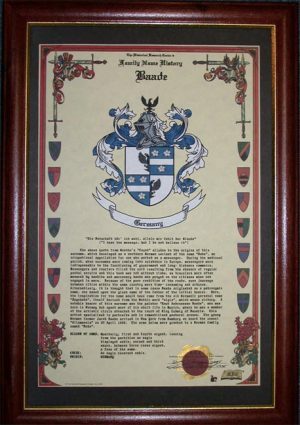 We combine the Family Name History with the authentic Coat of Arms for the name. 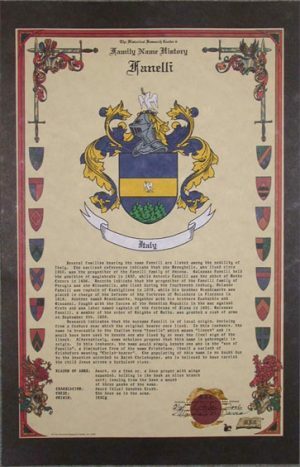 The Coat of Arms is available as either a full color graphic print or hand embroidery. 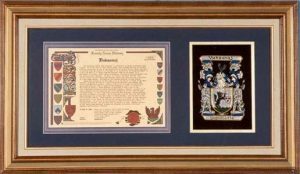 The full color graphic print of the Coat of Arms double matted and framed with the Family Name History. 15″ x 27″ outside dimensions.